The current church was built in 1870, replacing a smaller stone church that survived Quantrill’s raid. 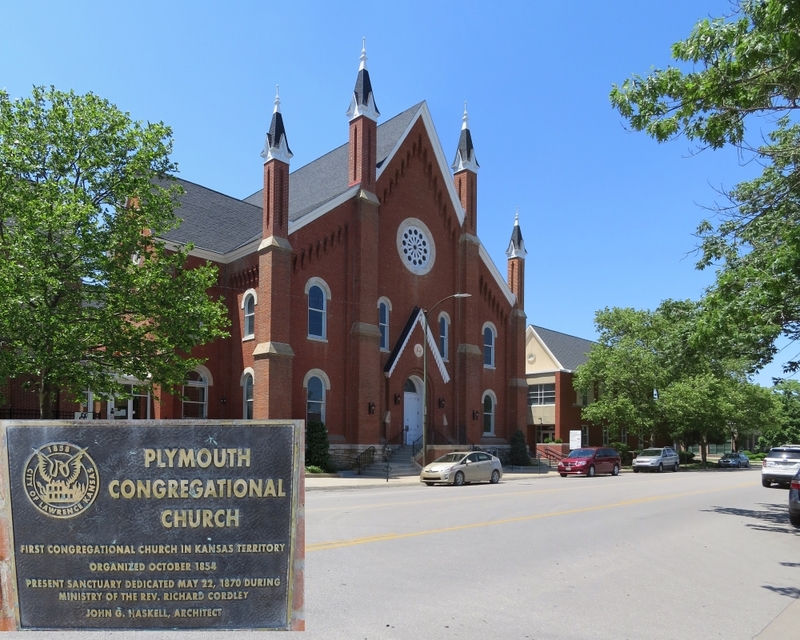 Present-day Plymouth Congregational Church with historical marker inset. A detailed map of Lawrence showing location of the Plymouth Congregational Church tour stop. Click on thumbnail to load high resolution version of the map.